Hermès might be synonymous with the Birkin and the Kelly, but there’s another elusive number that remains a highly coveted piece amongst H aficionados. Known as the Constance, it is a bag that’s most noted for its signature front clasp. But unlike the Birkin and the Kelly, the Constance isn’t a tote, doesn’t come with a top handle and is best slung across the body or worn over the shoulder. You could even say it is the third most sought-after bag, and whether you already own one, are still looking for one or are coming across it now for the very first time, here are 10 things to know about the Constance. 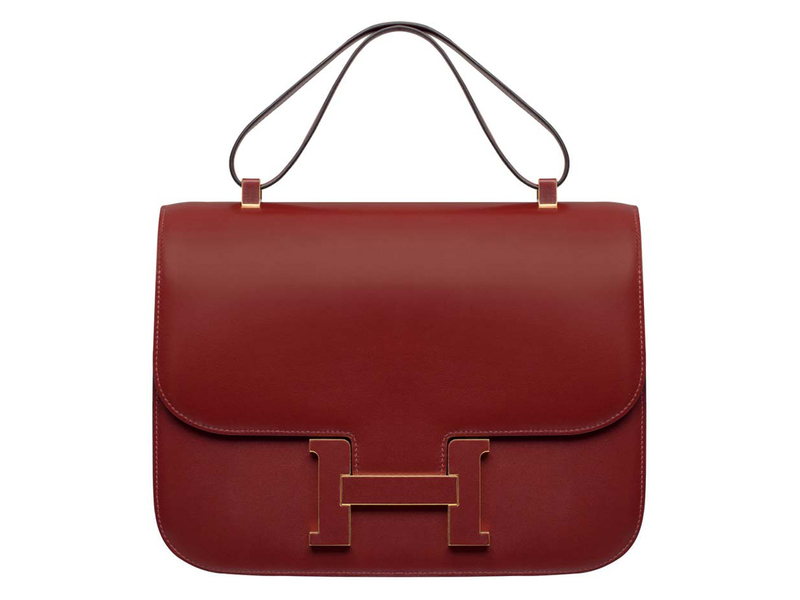 #1 Created in 1959 by Hermès’ in-house designer Catherine Chaillet, the bag was named after her newborn daughter – word has it that Constance was born the same day the very first bag was completed. Or hit the stores. And hence the name. #2 Amongst the bag’s earliest celebrity fans was the OG of class and elegance, Jackie Kennedy Onasis, the Former First Lady of the United States and later wife of Greek shipping mogul Aristotle Onassis. Actress Diane Kruger is also a huge fan; she bought her bag after she landed a huge Calvin Klein gig. #3 The Constance comes in four sizes, Micro (14 cm), Mini (18 cm), MM (24 cm) and Elan (25 cm and shaped more like a rectangle). Aside from the standard sizes, there’s also the Constance Cartable, the biggest of them all at 29 cm that comes with a short leather strap. #4 All Constance bags come with a lambskin leather lining, which attributes to its higher-than-average price. #5 The bag’s iconic H clasp comes in various options, such as the standard palladium, gold-plated hardware or enamel clasp. Other variations include a leather inlay on the Cartable, as well as exotic skins with croc or lizard embedded within clasp. #6 The Constance is typically offered in leather. There’s Box and Swift (both smooth leathers) or Epsom (grained leather). For those who want something different, there is also canvas and suede which are seasonal. And of course, the Constance does also come in your usual exotic offerings like croc, lizard and ostrich as well. #7 On the Constance24, the interior comes with a compartment that has the iconic diamond-shaped zipper pull. For those of you keen on purchasing one from the resale market, do a check on the zipper pull (one of the ways of authenticating the bag), because it should always remain parallel with the zipper teeth. #8 Speaking of craftsmanship, each bag is made by a single Hermès artisan (one of the best in the luxury field, no less) and takes 14 to 18 hours to create. #9 Like her other Hermès counterparts, the Constance gets her fair share of seasonal updates, such as the On A Summer Day Constance 24 that was released as part of the luxury house’s Spring-Summer 2017 collection for SGD21,400. Christie’s reportedly sold one for around SGD54,000 a year later at their auction. #10 One of the most expensive Constance bags ever sold at an auction? A limited edition shiny Cassis, Bleu Tempête and Bleu Izmir niloticus crocodile tri-colour Constance24 sold by Christies in 2015 for some SGD120,000.